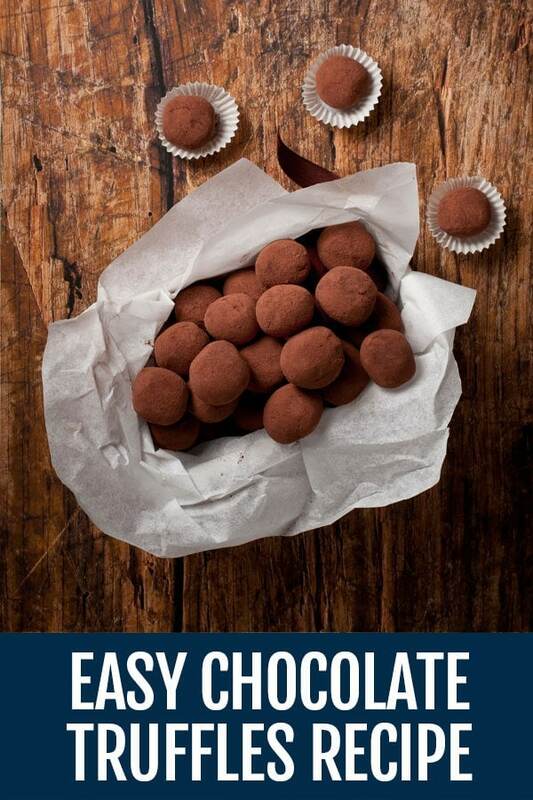 Easy Chocolate Truffles Recipe - Delicious and Simple! Easy Chocolate Truffles Recipe – Delicious and Simple! For this recipe it’s imperative that you use the best quality chocolate that you can find – ordinary milk chocolate simply won’t do the job and if that’s all you have, make something else – ah! 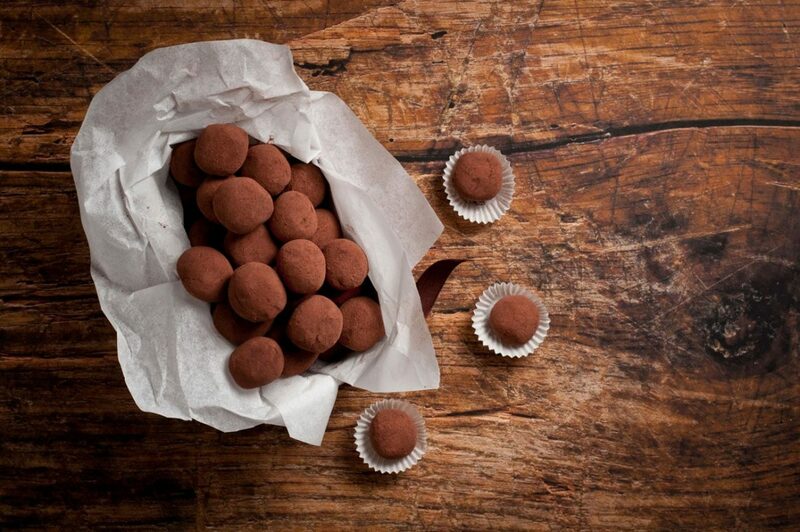 This recipe for chocolate truffles is quick and simple to make, perfect for San Valentines day! Warm a mixing bowl until it feels warm but not hot to the touch, add the chopped chocolate and set the bowl aside. Gently heat the whipping cream until just below boiling point at which point you immediately drizzle 25% of the heated cream into the middle of the chopped chocolate. Stir the cream and chocolate in one direction, keeping the spoon at the centre of the mixture, until the chocolate pieces have melted and the mixture is smooth and well combined. The whole process may seem laborious and unnecessary but it isn’t really because it’s a vital part of the process of making truffles. Drizzle in the rest of the cream, a little at a time, stirring the mixture in the same direction, then gradually working the spoon to the edges of the mixture until it is well combined and silky. Set aside until the temperature is about 37 C and start adding the butter, a little piece at a time and stir until the mixture has the consistency of mayonnaise – it’s important to note that you may not need all the butter. Now set the mixture aside in a cool place, preferably overnight so that it can cool to about 15C (you can test it with a cooking thermometer). 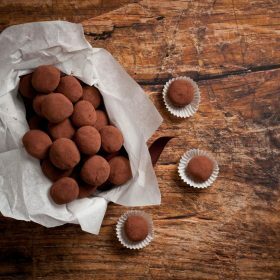 When the truffle mixture has cooled sufficiently, use a teaspoon to scoop up portions of the truffle mixture and, using cool hands, shape each portion into a small ball – you should be able to make about 20 truffles. Dredge the truffles in cocoa powder until completely covered, then serve. If you want to preserve the truffles for longer than a day or two, dip the truffles into the melted chocolate and set aside to cool before dredging them in the cocoa powder. A cooking thermometer would help here. Liked this recipe?Follow us @NonnaBox for more!